Submitted in January 2013. Despite a single objection, the application was approved without condition in the two-month timeframe set out by City of Edinburgh Council. 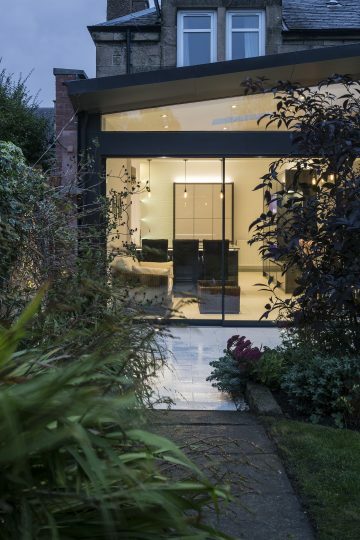 Due to the unusual amount of glass within the modest extension, a prolonged period of negotiation resulted in a permission being agreed. The outcome was an upgrading of insulation within the existing house, which we felt was a successful conclusion to a tricky technical challenge. 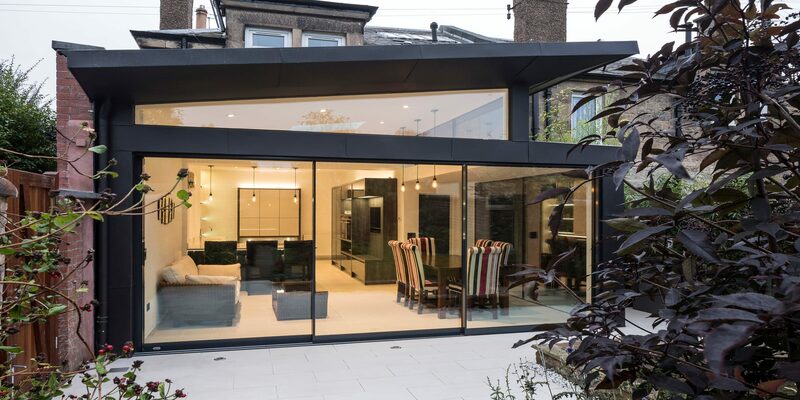 A glass box maximising views to the garden with the use of frameless glass, providing a blurred boundary between inside and outside. Large areas of glass proved difficult for buildings standards. 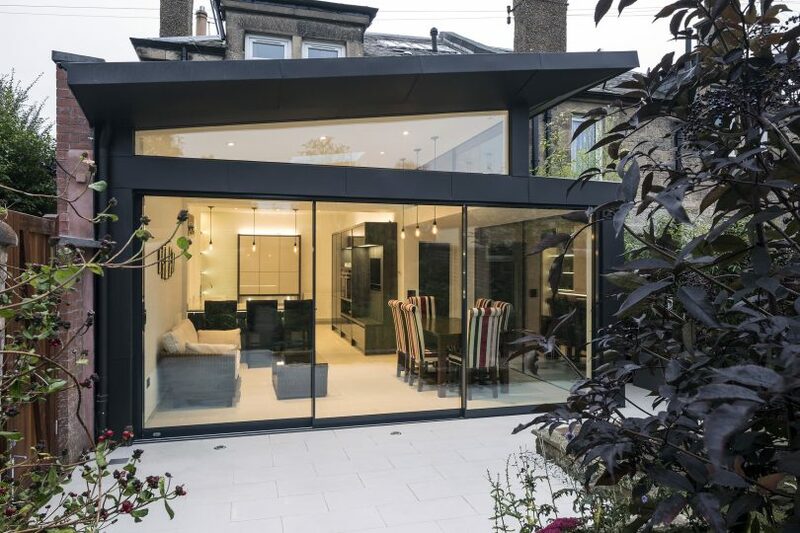 Maximising glass sizes was another technical challenge overcome. 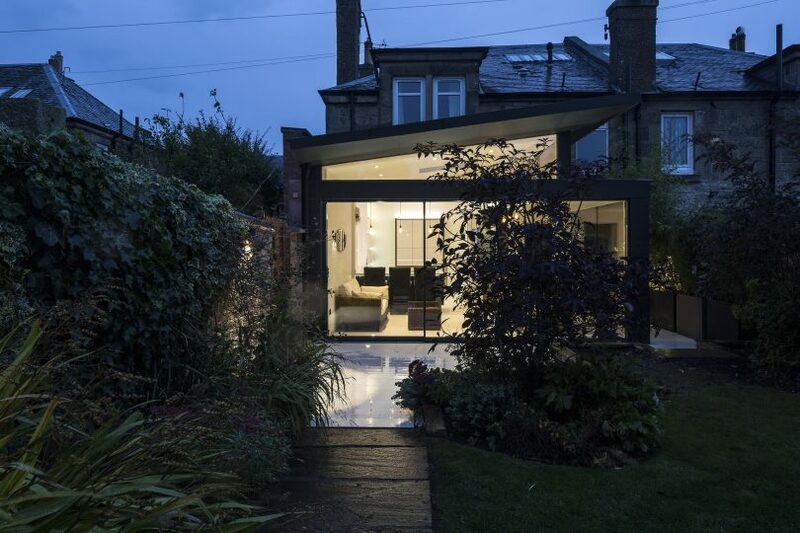 The extension was formed from a steel structure, in-filled with timber and large sections of frameless glass. 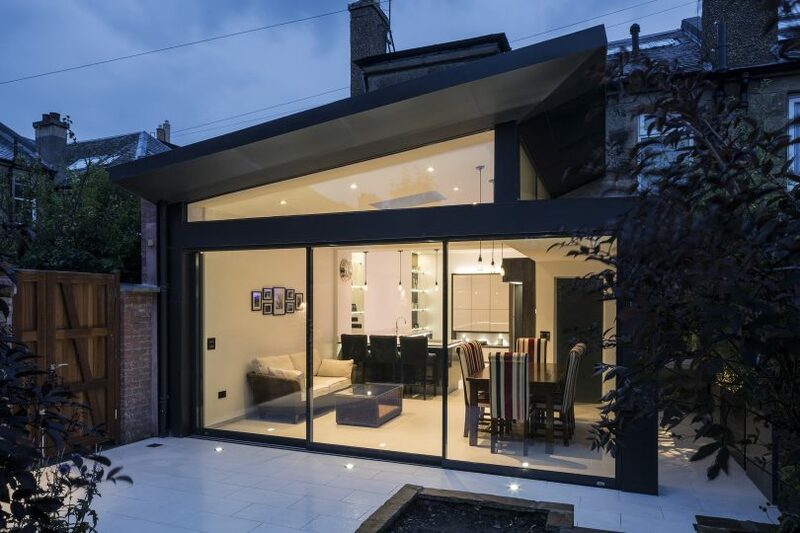 A set of three large section aluminium sliding doors by ‘Maxlight’ fill the main elevation. The timber and steel roof and small areas of walls are clad in ‘VM Zinc’ panels. 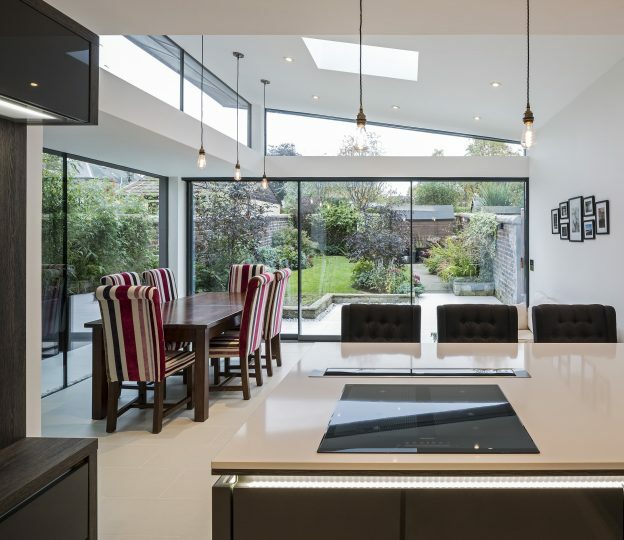 A large fixed frameless rooflight by ‘Visionvent’ brings daylight to the heart of the house. 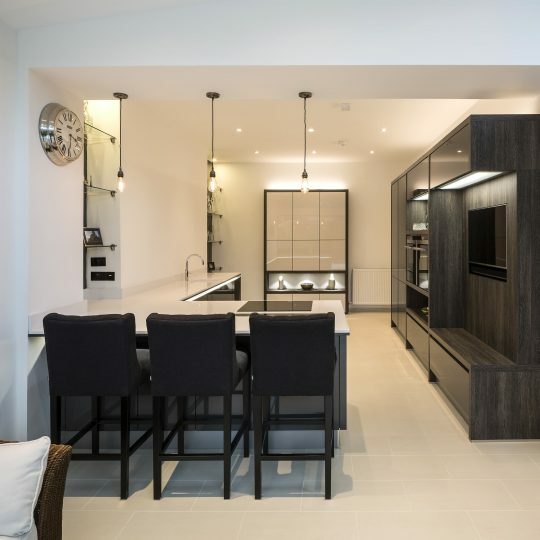 A highly insulated concrete floor is topped with a self-levelling screed, underfloor heating and large format tiles. A traditional tender was issued to four main contractors with the list being narrowed to two who returned similar sums. Further negotiation resulted in David J Lee Limited being appointed as the Main Contractor in July 2016.